Application Form can be downloaded from the Official Website of Women`s Christian College, Chennai. Students must appear and write the Entrance examinations for respective UG/ PG courses. Applicants can apply for the courses by both the online as well as offline. Download the application form from the official website of the college. Processing fee for applications could be either given by DD through the bank or can be submitted in the college. Processing fee for application form is 200 INR for UG, 250 INR for PG, and 300 INR for M.Phill. The admission process is completely depended on the merit scored by the students in the entrance exam and previous qualifying examination. Students need to clear Bachelor Degree with the minimum 50% marks as an aggregate. Candidates who belong to SC/ ST/ OBC will get up to 5% marks relaxation. Candidates must have a Master Degree with the minimum of 50% marks in MBA/ M. Com/ MIB/ MFC/ MSc. Candidates belong to reserved categories will get up to 5% marks relaxation. Students must have to pass BSc with the minimum of 50% marks to be eligible for the MSc. Those who belong to the reserved category will get up to the minimum of 5% marks relaxation. Students need to complete 10+2 in any stream with the minimum 50% marks to be eligible for these courses. Those who belong to reserved categories will get up to 5% marks relaxation in an aggregate total. Students should be a girl to study at a women's college. Eligibility criteria for undergraduate are 60% in your higher secondary. Admission procedure is applying online application or you can get it in the college. There is no specific cut off. You must have 60% of your higher secondary. If it is post graduate u must have 60% on your undergraduate. There is no entrance exam at Women's Christian college. Admissions are based on the 12th board exam marks. The admission is based on the marks obtained in 12th exam with minimum 60%. There is no Entance exam for my course. What is the admission procedure for B.Sc(Psychology) in Women`s Christian College, [WCC] Chennai ? Applicants may choose online submission of application forms through our college website www.wcc.edu.in or apply offline by purchasing application forms from the college. 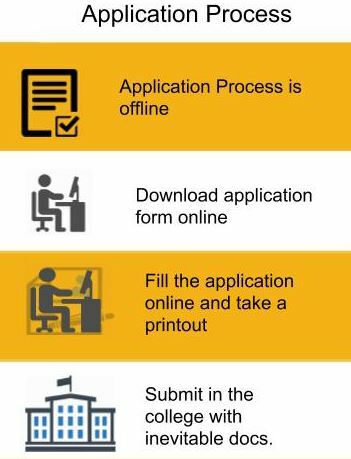 Please read the instructions carefully before submitting the application form online. The prospectus contains details regarding the programs offered and eligibility requirements. For further information please mail to info@wcc.edu.in / admissions@wcc.edu.in or contact 91-44-28275926 or 91-44-28276798. The application fee may be paid through Demand Draft. Demand Draft should be drawn in favour of “The Bursar, Women’s Christian College, Chennai” payable at Chennai.